We’ve been teasing for a while and now… and are very proud to announce that our shipping extension for WooCommerce is now available. Our easy to install extension brings the power and convenience of Temando’s shipping software to WooCommerce and Wordpress. The extension automatically gives you access to multiple Australian carriers from inside the Wordpress admin panel. This means you don’t need to go anywhere else to upload and book your online orders. You can easily process them right from Wordpress - Just click and ship! Our shipping extension has seriously simplified the shipping process for Wordpress and WooCommerce users. But what’s even more exciting is you now have control over the customers shipping experience. You can choose to display free shipping, flat rate or charge the customer a real-time shipping quote at the checkout. The power is in your hands to decide what your customer values and what influences their conversion. We truly believe you’re going to love shipping with the extension and we think your customers are going to benefit from it as well. It’s well documented that the number one reason for abandoning a sale online is ‘cart shock’ often associated with shipping costs. Not only can you solve this age old online problem but with the Temando shipping extension you can also be transparent about shipping policy by adding a shipping tab to every product page. The extension comes pre-loaded with multiple Australian carriers at great rates and if you have an Australia Post eParcel account you can also use eParcel rates on our Professional Plan. 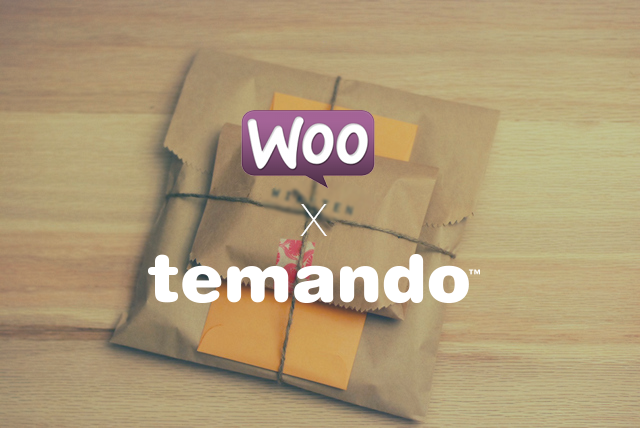 Discover more about the Temando WooCommerce shipping extension.